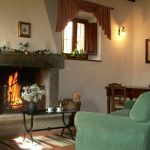 Restored country house, retaining most of the original features including stone faced walls, beamed ceilings and original fireplace in lounge. 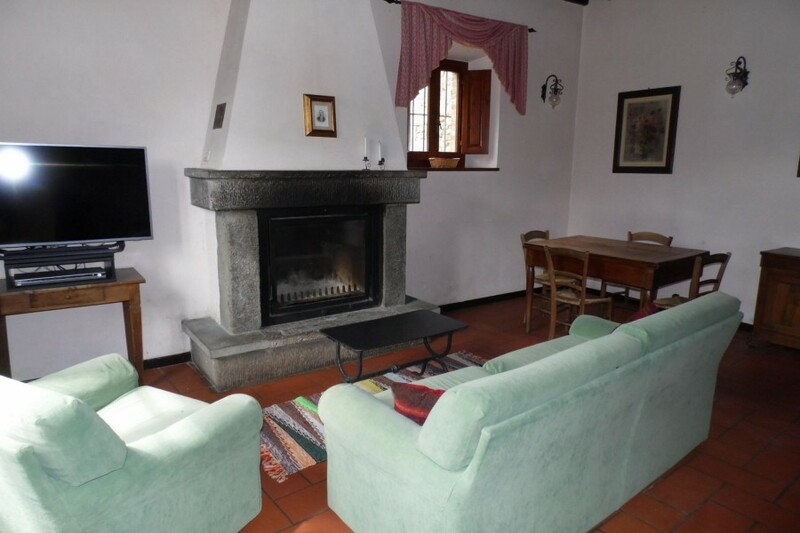 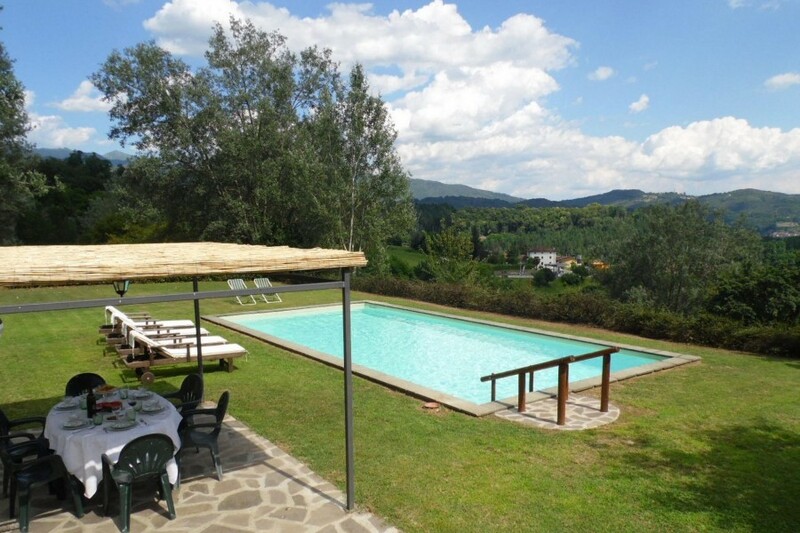 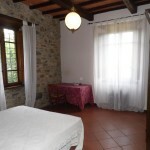 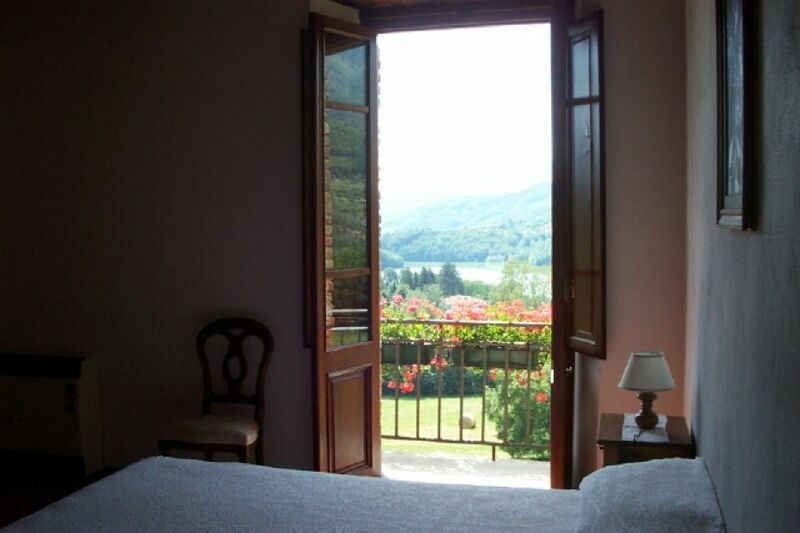 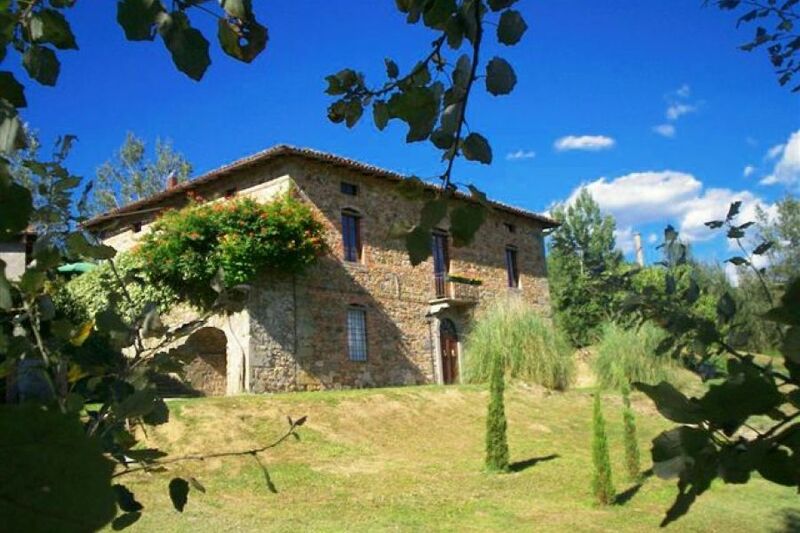 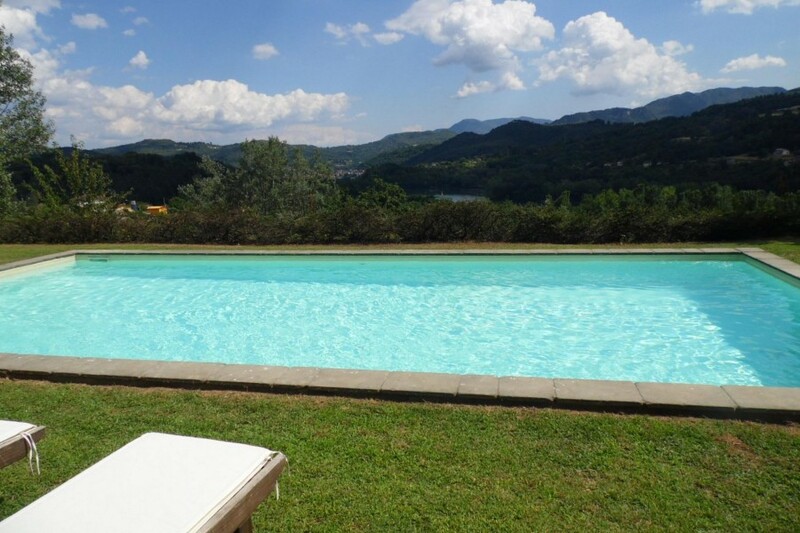 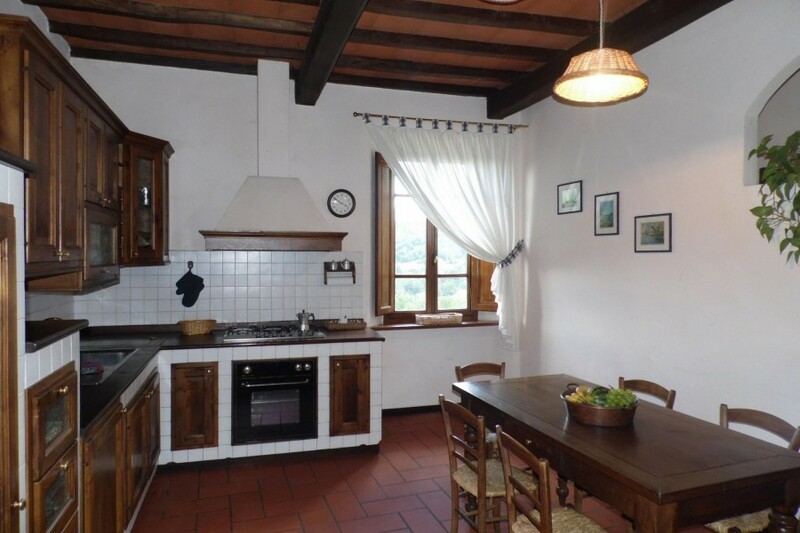 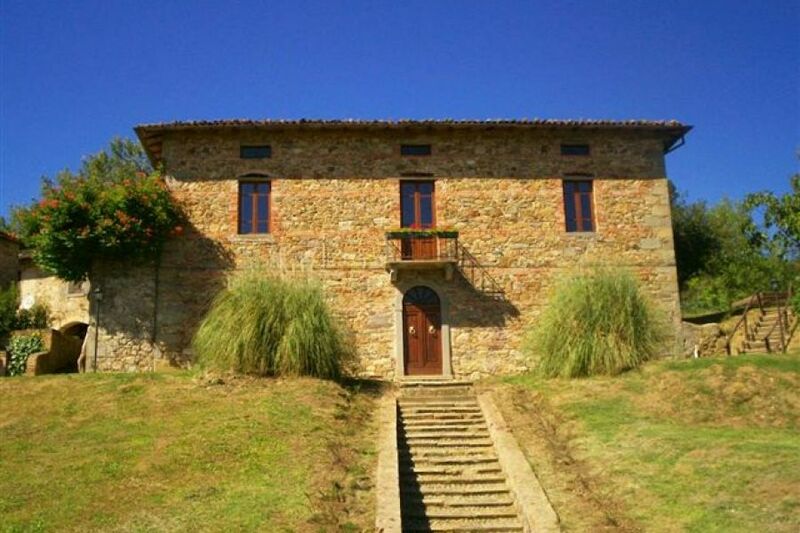 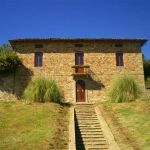 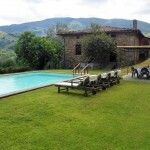 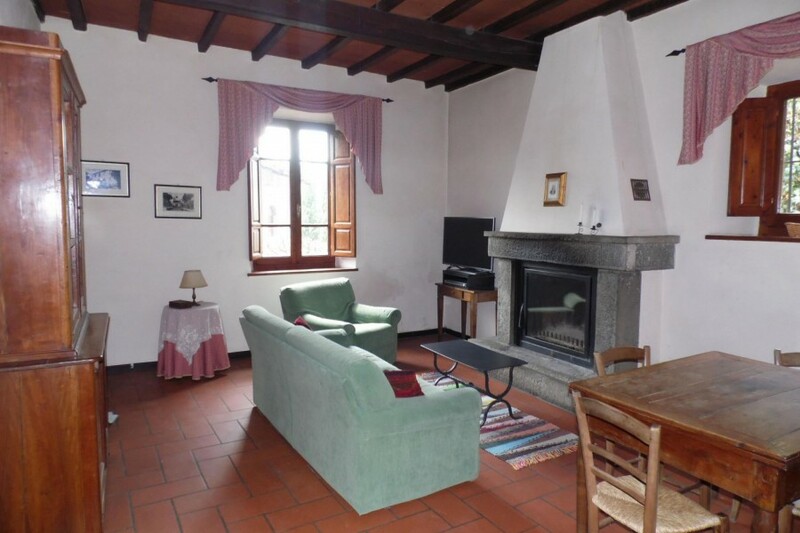 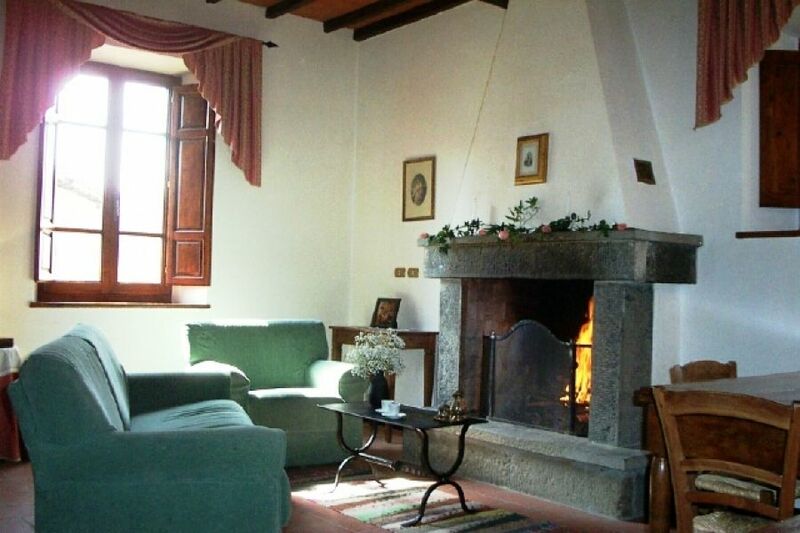 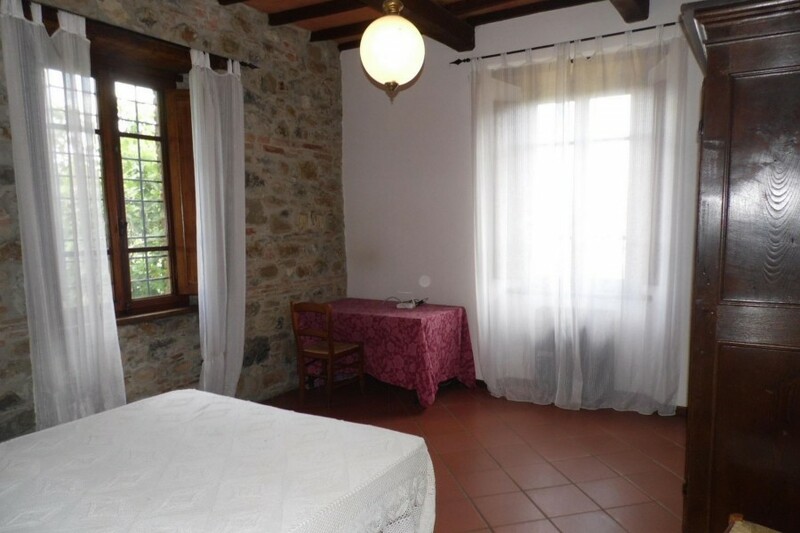 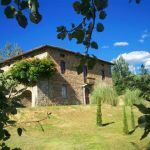 The property is situated in farmland surrounded by meadows in a panoramic position overlooking the Pontecosi lake and the green Garfagnana valley. 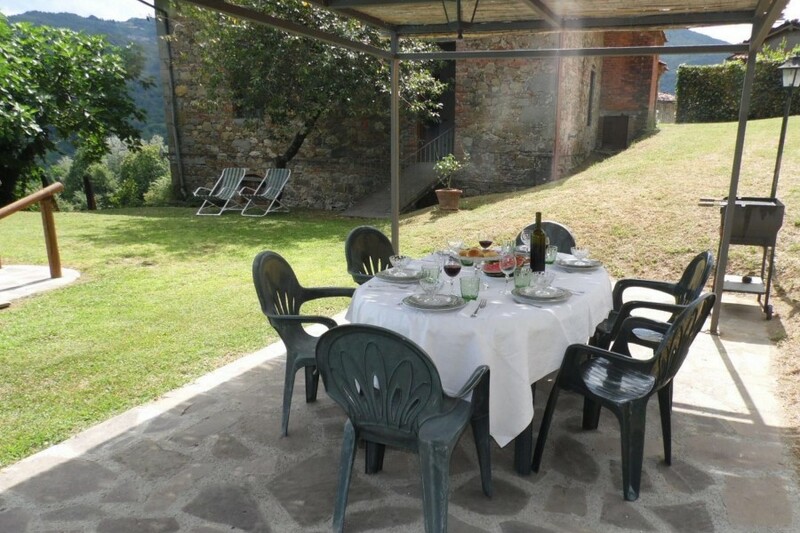 Eating out area adjoining the house and ample playing space for children. 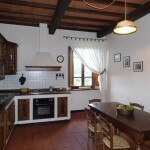 Large fully equipped kitchen (dishwasher). 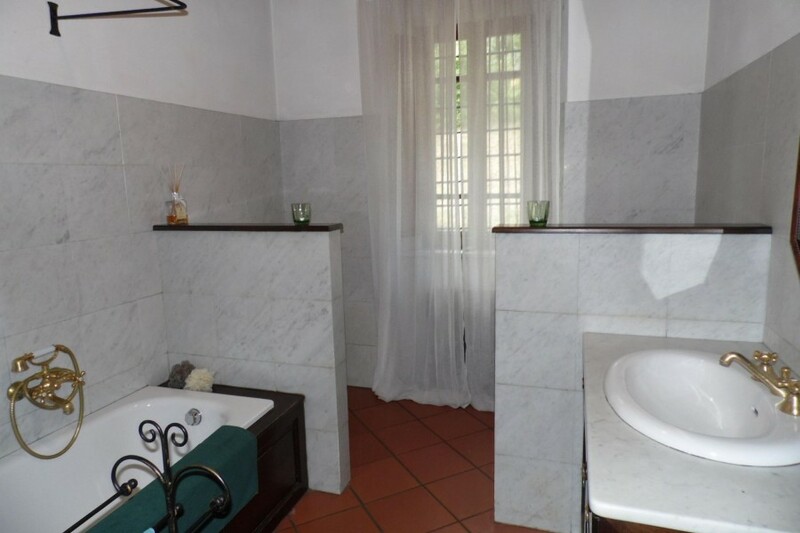 There is a additional large double bedroom with en-suite shower room bathroom which is automatically let in July and August so that in high season the villa sleeps 8. 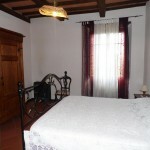 In low and mid seasons the extra double bedroom is available at £150 per week. 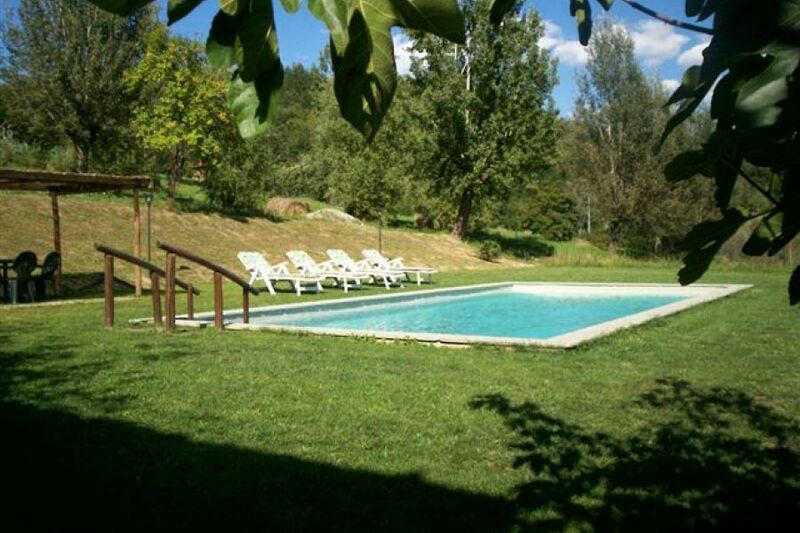 Within walking distance of small golf course (6 holes par 3) and bar/restaurant by the lake. 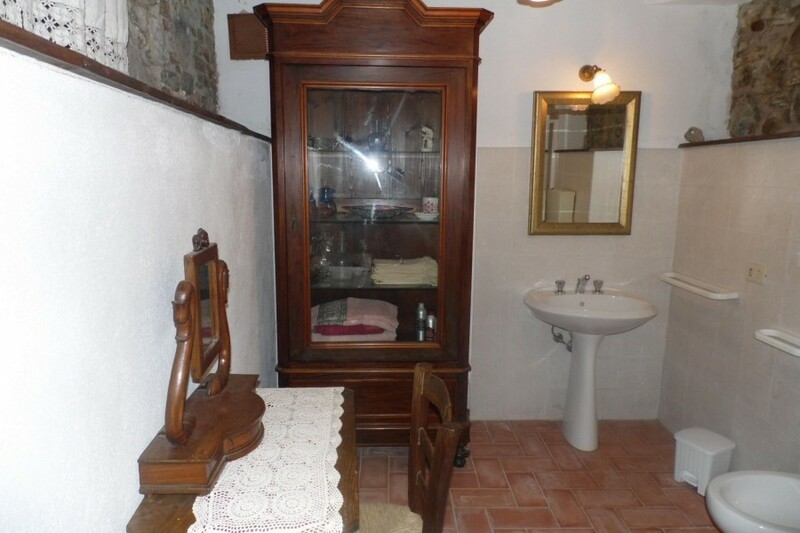 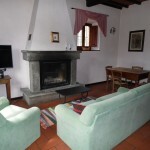 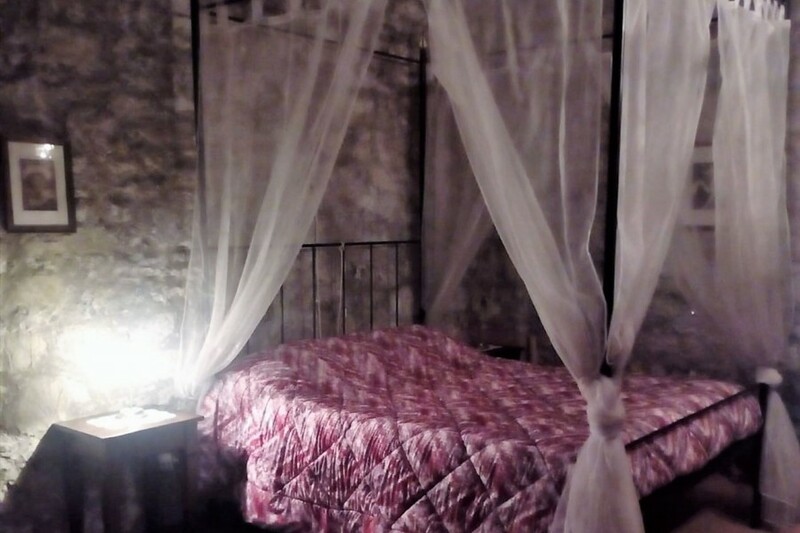 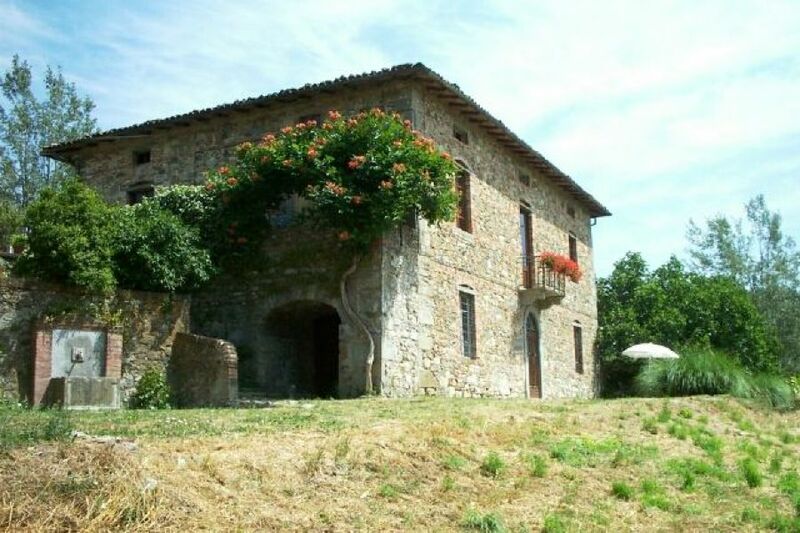 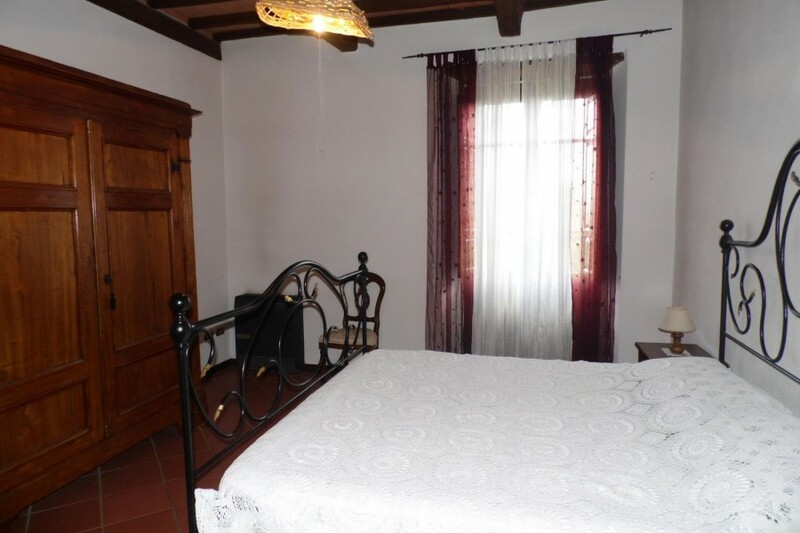 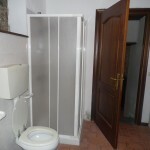 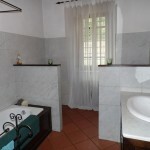 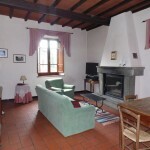 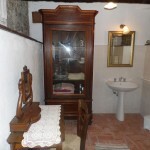 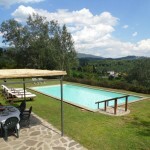 2km from supermarket and 4km from main market town Castelnuovo. 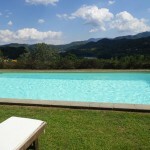 Villa Baroni completely met our expectations. 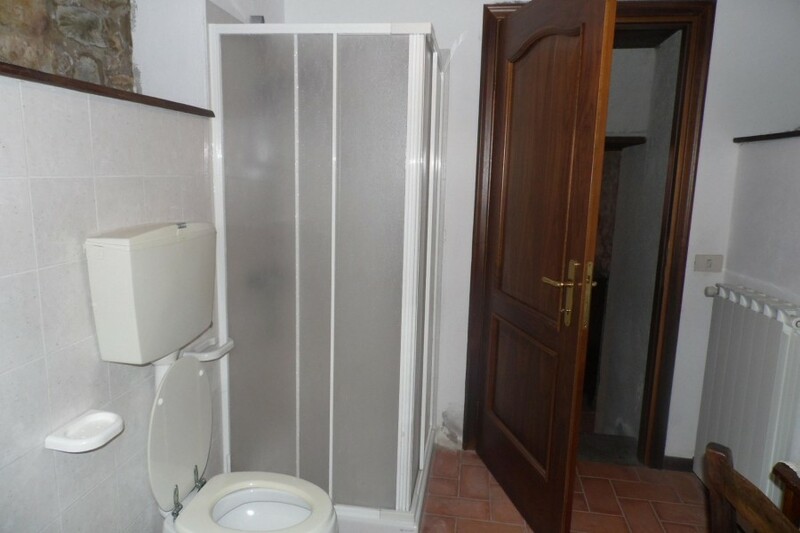 It suited us perfectly. 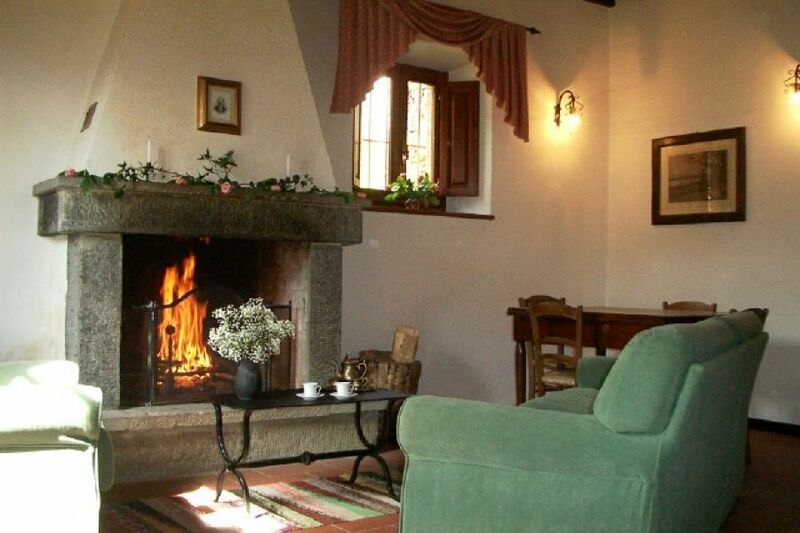 We were a big family with four generations, from a baby to 91 years old! 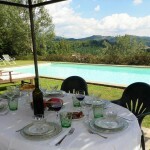 The kitchen was plentifully equipped, good patio and the pool was lovely. 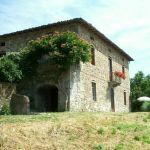 We only lacked a \"booklet\" with collective information about nearby shops, restaurants, excursion tips and explanation of waste management. 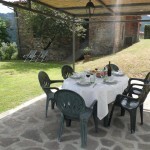 We highly recommend Villa Baroni! 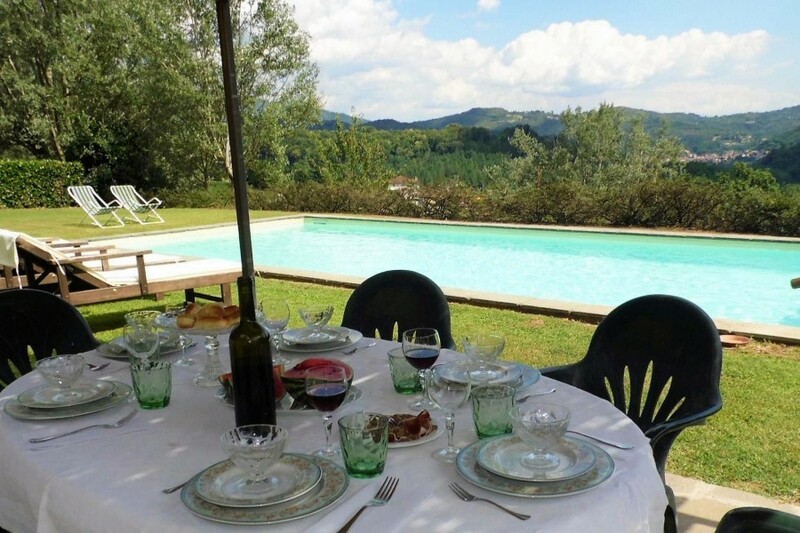 I just wanted to let you know that we all had a fantastic time at Villa Baroni – it was just perfect for us and we loved it so much we would love to revisit – maybe next year but we need to check out dates. 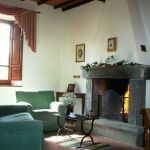 The area was new to us all for exploring and my son booked a cooking session with Imogen through ‘artwine’ which was just fabulous. 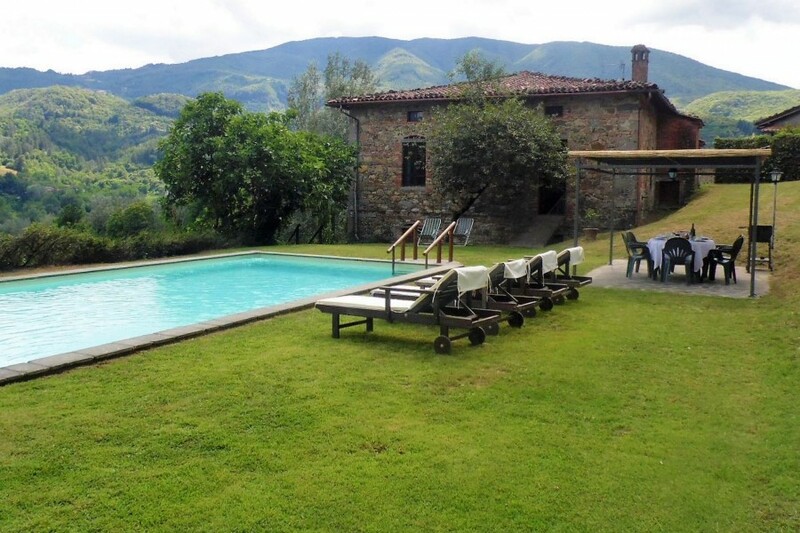 The house suited us well and the garden and pool were wonderful. 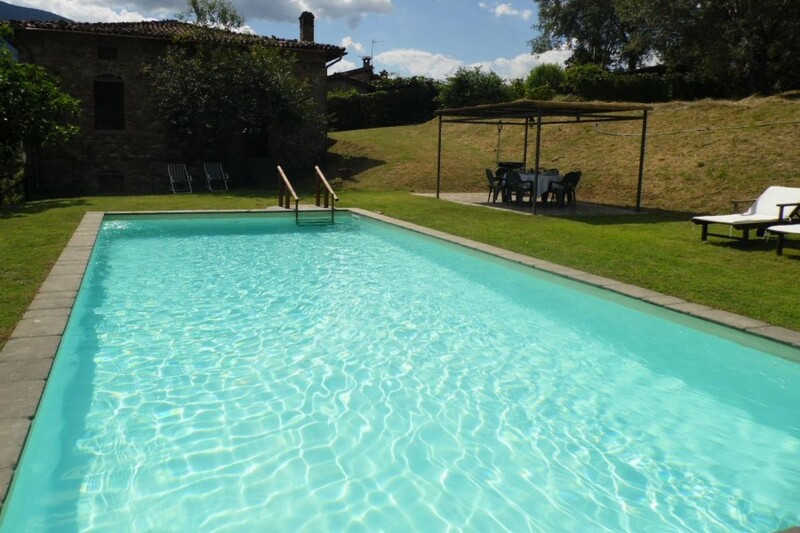 The pool was looked after so well – cleaned frequently and just so perfect. 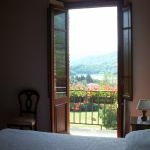 Please pass our thanks for a wonderful and memorable holiday to the owners and, of course, to yourselves for a brilliant service.